President Donald Trump made a brief appearance at the summit organised by his daughter Ivanka Trump. 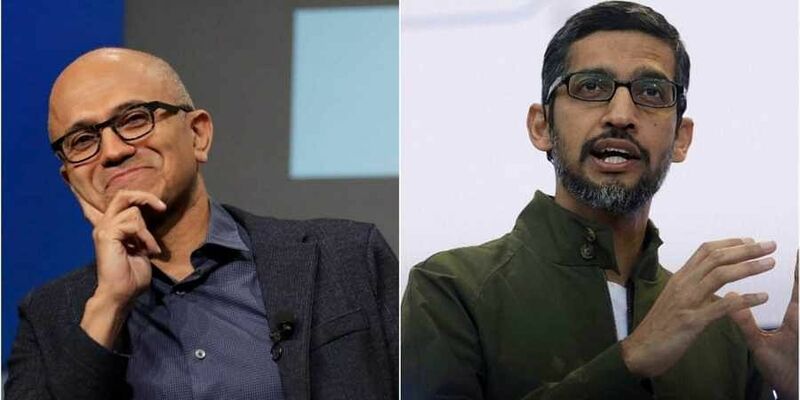 WASHINGTON: Two Indian-American CEOs, Satya Nadella from Microsoft and Sunder Pichai from Microsoft, were among a select group of CEOs invited by the White House for a technology summit as part of the Trump Administration's move to ease its relationship, which thus far has remained tensed, with the Silicon Valley. Ginni Rometty (IBM) Safra Catz (Oracle) and Steve Mollenkopf (Qualcomm) were among those who attended the White House Tech Summit. Estimates show that 85% of the jobs today’s learners will do in 2030 haven’t yet been invented. I look forward to joining the Business Roundtable today to discuss industries of the future, the changing nature of work & the challenges/opportunities of a more automated workplace. CEOs who attended the summit did not respond to reporters' questions at the White House.